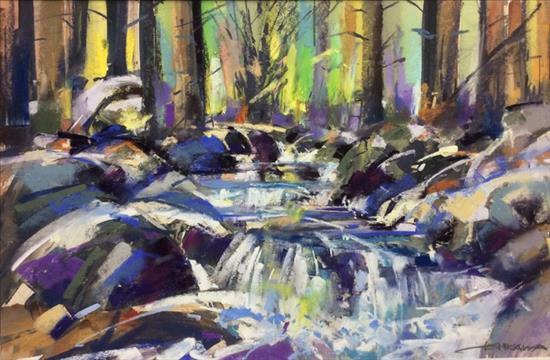 I am teaching a one day workshop on painting rocks and waterfalls. They go together like “peas in a pod”. You have to have rocks to have a waterfall. Together they make quite a beautiful scene. I hike throughout the sierras and in the backcountry streams I have encountered many beautiful waterfalls. I will bring several photographs of the ones I have encountered, and you can paint them. The wet rocks, rushing water, pine trees, and cascading water, what a great combination. If you like to do a underpainting with watercolor, its a good way to start. I will bring some sanded paper, and few sticks of my favorite Nupastel colors. It should be a fun experience. Mike is an award winning pastellist. 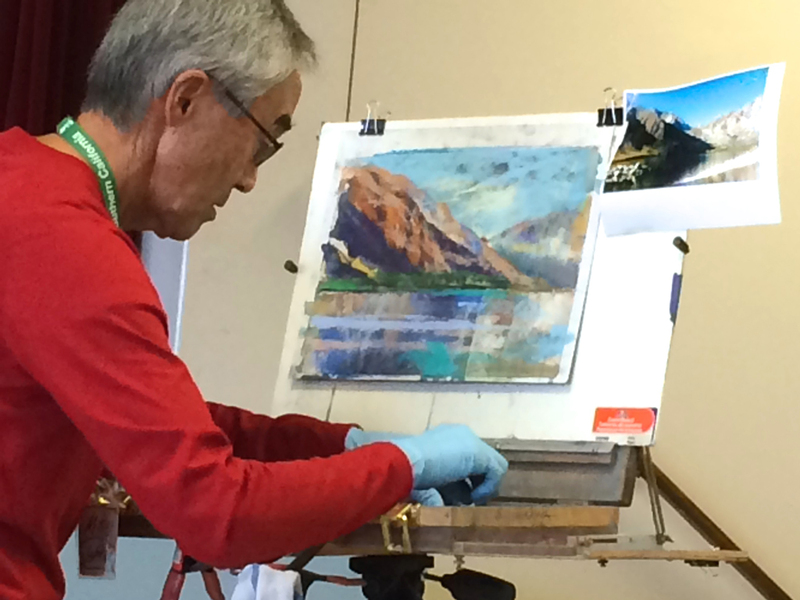 Mike's approach is to start with an colorful underpainting as a springboard to a vibrant pastel. 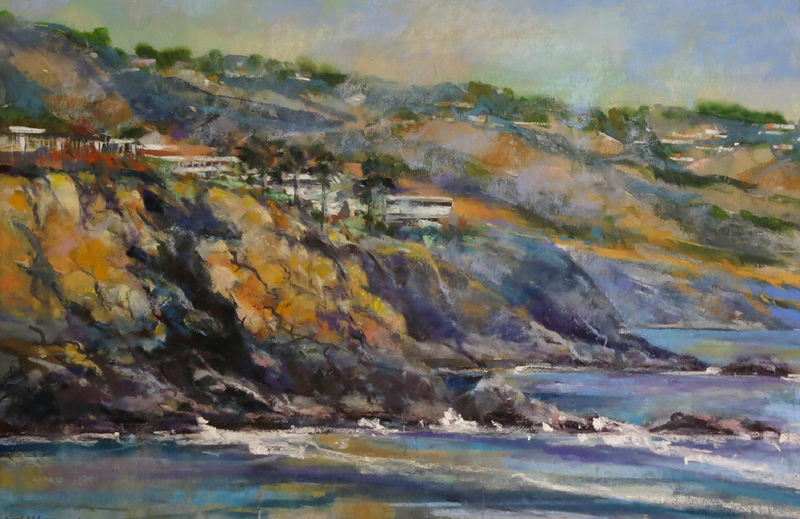 An architect by profession, Mike draws on that knowledge for lively urban scenes and nocturnes, but is equally at home creating beautiful landscapes.